Property management is just part of what we do at Nicor, but we do it well. We have been in the business for almost 30 years. Nicor Community Management (NCM) draws on the expertise of areas of our realty, construction and development divisions to offer a full-service approach. We have a dedicated team of accountants and CCI accredited property managers ready to help you manage your condominium’s needs. Already an NCM customer? Get help with issues outside day-to-day condo operations with professionals who already understand your building. Do you have a developer deficiency dispute that needs attention? Do you need to review and update your bylaws for compliance with the new legislation? Are you in a dispute with a supplier and in need of advice? We can help with all of these issues and more. Rooftop patio on the 5th floor of the Leader Building. This downtown oasis has direct access from two of the residential condos in the building and is available for all commercial and residential tenants. 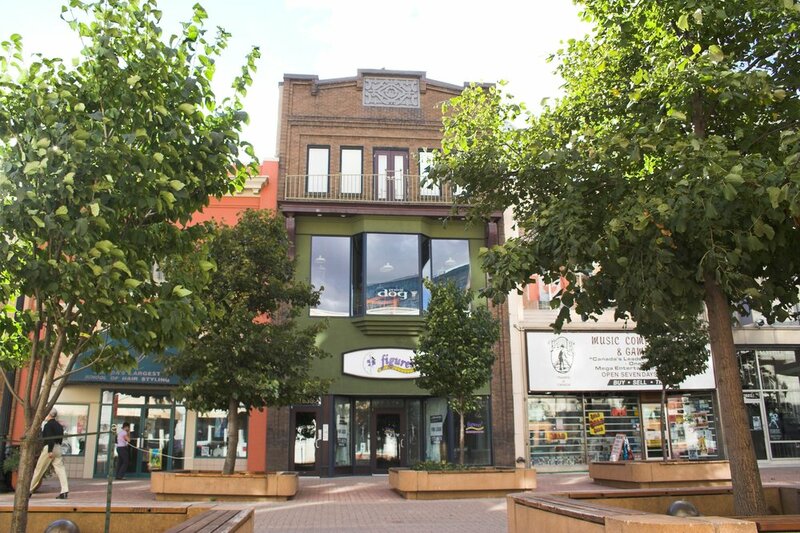 Willoughby & Duncan Building: A Fixture of the Scarth Street Walking Mall. Nicor initiated construction of the indoor walkway along this stretch of commercial space. Residential units occupy the upper floors. Armstrong Smyth Building: Across from the Willoughby & Duncan building on Scarth St. Renovated, developed by Nicor, home to both commercial and residential units. Nicor Community Management (NCM) has been serving Regina since 1989, offering professional condominium management services in both residential and commercial properties. Do you want the freedom of a self-managed condo without the heavy workload? Nicor Group is a family business with 35 years of experience serving Regina in the areas of property management, realty, construction and development. We have a dedicated team of certified accountants and accredited property managers ready to help you manage your condominium’s needs, on your terms. Take advantage of our knowledge and experience, without signing on to a contract. Access only the services you need, through our a-la-carte menu. We can provide a full review of your Corporation’s bylaws and revise them where necessary to update them and ensure compliance. The new amendments to The Condominium Property Act include provisions which call for a “Standard Unit Description”. We can work with you to draft this in a way that is specific to your Corporation and your insurance needs. We have a proven Bylaw Enforcement procedure that works and allows us to act as a neutral third party to get the situation solved. We can draft a formal contract that is specific to the nature of the work so that the expectations are clear. Whether it be assistance with the resolution of a dispute or simply tracking the items necessary for successful completion, we can help. Just like hiring a home inspection for a house, an estoppel review is the equivalent for condominium purchase.